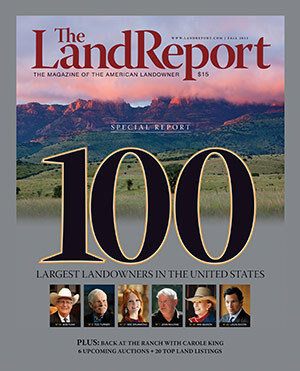 The Fall 2013 issue of The Magazine of the American Landowner is now available featuring the 2013 Land Report 100 sponsored by Fay Ranches. 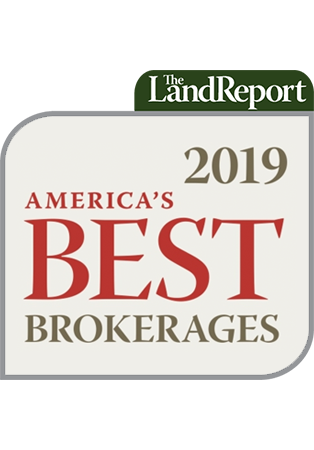 With 2.2 million acres, John Malone takes top honors for the third consecutive year. His love of land, coupled with his wife’s love of horses, led to several key acquisitions, including a historic Irish castle just south of Dublin and two properties in Wellington, the epicenter of Florida’s equestrian community. At more than 2 million acres, Ted Turner runs a close second to his good friend. Turner enjoys the distinction of being New Mexico’s largest landowner, and he capitalized on that honor by acquiring the historic Sierra Grande Lodge and Spa in Truth or Consequences. Guests at the Lodge will be able to book tours of Turner’s 156,439-acre Ladder Ranch and his 362,885-acre Armendaris Ranch. Other stories featured in our Fall 2013 issue include a behind-the-scenes tour of Idaho’s Robinson Bar Ranch, which belongs to Rock and Roll Hall of Famer Carole King, an update on a key decision by the Supreme Court regarding property rights, and a look at one of our favorite pups, the Rat Terrier.